FinaFlex PX Review (UPDATED 2019): Don't Buy Before You Read This! FinaFlex PX is a weight loss diet pill used to provide appetite suppression, mental focus, and energy. It’s said to give only clean energy, and the claimed ability to help reduce belly fat. It’s made up of stimulant ingredients and “exotic” additives that are still awaiting a patent. The company does mention one shouldn’t take it within 5 hours of bedtime, and to seek the advice of a medical professional before using. Also, it may contain ingredients that have been banned in athletic organizations. This review will go over the quality of ingredients, customer reviews, and whether or not it’s an effective and safe weight loss solution. A list of the top 10 diet pill supplements is available in this list. 1, 3, 7- trimethylxanthine:The chemical name for caffeine, a common stimulant used to increase energy, increase metabolism, and increase focus. Increased heart rate, chest pain, and difficulty relaxing. Agitation, headaches, and ringing in the ears. Nervousness, anxiety, and stomach pain. Caffeine is often mixed with ingredients like bitter orange as is the case for FinaFlex PX. This is combined in order to give an increased weight loss effect. However, this also greatly increases the risk for side effects. A comprehensive list of the 10 best diet pills is compiled in the link provided here. Theobroma Cacao Seed Extract:Stimulant extract taken from the same seed from which chocolate is made. It stimulates the heart, widens blood vessels, and stimulates urination. Headaches, jitters, and rapid heart rate. Restlessness, anxiety, and difficulty relaxing. High blood pressure, toxic buildup, and cardiovascular issues. When mixed with other stimulants it also can have an increase of side effects. Headaches, migraines, and ringing in the ears. Sensitivity to the sun, rapid heart rate, and cardiovascularissues. Insomnia jitters, and muscle twitches. People have been hospitalized and there have been fatalities linked to the use of bitter orange. Schisandra Chinensis: These berries are used as an adaptogen, which means they help regulate anxiety and stress. There’s’ limited scientific information on whether or not it’s safe and effective. Stomach pain, nausea, and upset stomach. Heartburn, skin rash, and itching. Loss of appetite, digestive issues and overstimulation. Upset stomach, rapid heart rate, and anxiety. Mood swings, hallucinations, and irritation. b-Phenethylamine HCI: Chemical that’s found in the body, it’s used in supplement for to help elevate mood and weight loss. Rapid heart rate, agitation, andanxiety. Jitters, muscle spasms, and restlessness. Since it’s similar in its effects to amphetamine, it can also potentially lead to withdrawal symptoms and addiction. FD&C Blue #1:Blue food dye with no nutritional value. It is poorly absorbed, and will often show itself up to 95% in stools. FD&C Red #3: Artificial food coloring added to things like processed foods and printing ink. The FDA enacted a ban on high amounts of this after studies showed it could cause cancer in rats. The top 10 diet pills have been compiled in an easy to read list when you click here. The majority of ingredients are stimulants which are meant to boost metabolism and provide energy. There are many possible side effects, and it’s not a long term weight loss solution as the company advises to stop taking it for 45 days. This form of diet pull supplementation is known as cycling, and it’s common in stimulant heavy formulas which have reduced effects and a possibility for side effects when used repeatedly. Another major issue with the ingredients is the lack of information on the exact dosage strength. There’s unknown amounts of caffeine, which makes it impossible to determine what a safe amount would be per person. Not everyone has the same sensitivity to caffeine, and in some people much less is needed for there to be an effect. Also, many additives in this have not been proven to be effective. No studies or proof is provided by the manufacturers to help support any of their additives. The top 10 diet pill supplements are featured in the link provided here. Direct sales are offered for $55.95 per 60 capsule bottle lasting 30 days. A total of 5 different stimulants are added. There’s also ingredients like PEA which have been shown to be likely unsafe. The mixture of stimulants will likely produce energy and might increase metabolism, but there’s too high of a potential risk for side effects. Since the stimulants are mixed into a proprietaryformula, it’s impossible to determine the full amount of each ingredient. This can make dosing incredibly risky. The list featured here has the top 10 ranking diet pill supplements. No email or phone number is provided on their official website. There’s also no money back guarantee offered, and very little information exists about the company outside of their own website. A FDA study into ta few of their supplements found that they contained steroids. A study by Harvard professors found that even after the warning, the company still continuing to include these illegal and unsafe additives. The official website also provides no information into their manufacturing process. Amazon.com currently has a total of 42 negative reviews. Customers have complained about severe side effects and repeatedly mention an inability to relax. Many of the symptoms are common stimulant issues such as rapid heart rate, nausea, irritability, insomnia, inability to relax, jitters, mood swings, and headaches. Since no money back return policy is offered, all sales are final. Our experts created a list of the top 10 diet pills via this link. 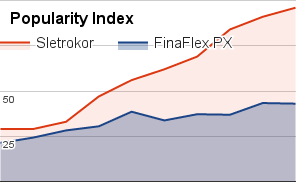 How Does FinaFlex PX Compare? 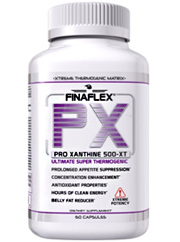 Conclusion – Does FinaFlex PX Work? Before settling on FinaFlex PX, it’s important to look at the ingredients, kinds of side effects, and what customers have experienced. There are unknown amounts of caffeine added to this stimulant formula, and many of the ingredients can be unsafe even on their own. Many customers have also failed to see any benefit, with many reporting serious side effects. There’s also the issue with having to seek a physician’s advice before using, which is impossible as there’s unknown amounts of each stimulant. 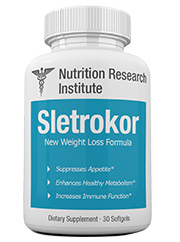 The 2019 diet pill of the year was found to be Sletrokor. This all natural plant based formula is made without stimulants, artificial ingredients, fillers, or binders. It’s made with clinically studied extracts which have been shown to have potent effects. Customers have left testimonials on Sletrokor’s website showing their own weight loss results. Sletrokor is backed by a full risk free money back guarantee. Returns are offered for 30 days with no questions asked. More information on Sletrokor is offered in the link provided here.